Naturally occurring, glucosamine HCL is a major component of cartilage which absorbs impact and cushions our joints when we move — so it’s super-important for anyone who takes part in high-intensity exercise. Our easy-to-consume tablets are packed with 1g of high-quality glucosamine HCL, a building block of cartilage and joint tissue — making them an important addition to your workout regime as you push for progress. 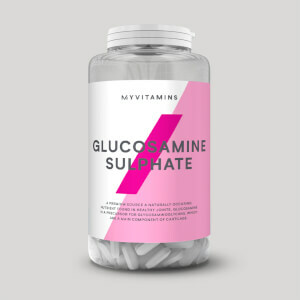 It can be difficult to get glucosamine from diet alone, as it’s found in very few sources — and these are mostly shellfish, which is why our tablets are a convenient, cost-effective alternative. When to take Glucosamine HCL? 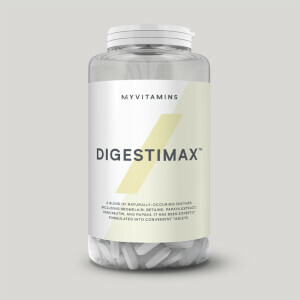 Simply take 1 tablet daily, with food for the best results. So whether you spin, lift, or sprint, it’s great for getting those improvements you need — in the gym or on the track. What does Glucosamine HCL work well with? 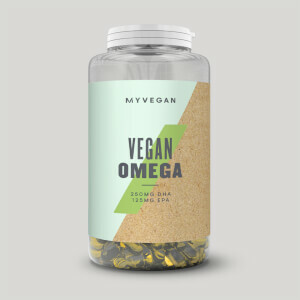 To complement the benefits of glucosamine, add Essential Omega-3 — our super-convenient softgels are a great way to get essential fatty acids into your diet. Glucosamine Hydrochloride, Bulking Agent (Microcrystalline Cellulose), Glazing Agent (Hydro Propyl Methyl Cellulose, Titanium Dioxide, Glycerine, Carnauba Wax), Anti Caking Agents (Magnesium Stearate, Silicon Dioxide). I wasn't optimistic about this product at all. I also was suspicious about the ratings being so extremely high in the reviews. I still am suspicious about that, to be honest. But this is really cheap so I figured why not give it a try -- I've had joint pains for years and doctors/physios have not been able to offer a solution or even definitive explanation. So I tried it. And it works like a charm. I couldn't believe it, so I stopped taking it, and the pains returned. I started again, and sure enough the pains went away again. I am very pleasantly surprised. I have to say, I am still suspicious about the product too -- maybe there's some placebo effect going on, or maybe it just works for me specifically and won't work for others; surely this can't be a "miracle cure". But it has done wonders for me. Lemme give you a brief background of my situation so that you can evaluate this product yourself through me. My father was a rowing champion as a teenager, that earned him many medals on national and european lvl as well as some long lasting injuries. After dropping out of the sport he continued working in manual labor and as a truck driver which earned him more than a couple of tough non sleep nights and more injuries on his way (couldnt even turn in his bed at times). Through the years he was prescribed many kinds of medication for the pain in the tendons, ligaments and joints, including vaccination. 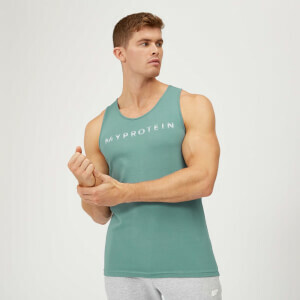 It recently came to my attention that myprotein had a huge variety for athletes so I searched a bit around to find anything that can assist with joint recuperation and tendon pain and so I decided to make the purchase. For about 40 years he 's been having these problems and no medication ever helped him with the pain till this point. He 's been taking glucosamine along with Omega 3,6,9 daily and he finally, around 2 weeks after constant use, he 's beginning to see results. He reported that he sleeps way better and he feels no pain most of the times, which also depends on how hard he drives himself at work as well. He is more energetic and I can actually say that I no longer hear his agony in the night which believe me, was heartbraking, not being able to sleep, a real nightmare. I thank myprotein for their products and can't say how much appreciate their services. Given the opportunity I ll report back in a few months time with the overall review of the therapy and product ! Been taking these along with fish oils for years now since packing in a long boxing career, ran out last week (not like me) and really noticed the pain in my joints again. Really couldn't go without these tablets along with the fish oils or I'd be living in constant pain. Just wanted to say this product is great! Have been taking for couple of years now and wouldn't be without it. Joints and spine have improved dramatically allowing me to continue to exercise again. After only 5 days shoulders,knees and back are better...cheap and effective....i take 2 in the morning and maybe 1 later. Glucosamine HCL works great. My elbows previously had a grinding click when I would do certain exercises but now it is slowly reducing after about a week and a half of use.